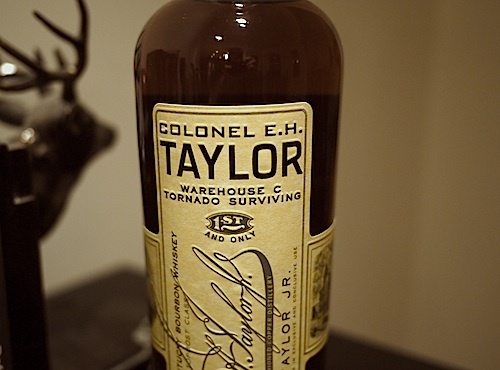 You Say Tornado, I Say Whiskey: E.H. Taylor Warehouse C Tornado Surviving Bourbon. 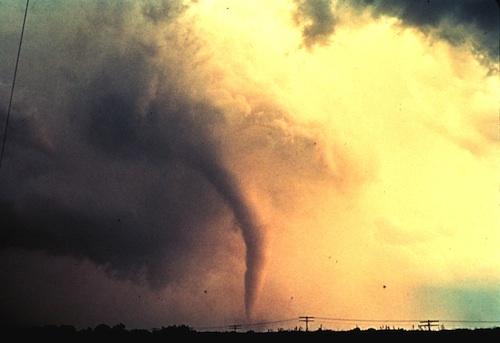 This, friends, is a tornado. As you may know from my fascination over the release of Whyte and Mackay’s Shackleton Whisky last year, I like a whisk(e)y with a good story. And this new release from Buffalo Trace doesn’t disappoint on that front (nor any other for that matter). 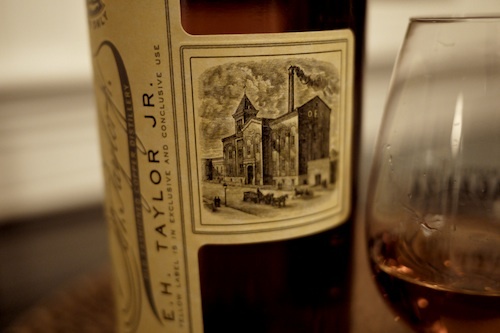 “Warehouse C” is a century-old aging facility at the Buffalo Trace Distillery, built by whiskey innovator Colonel Edmund Haynes Taylor Jr. Unlike many of us whom aspire to own a distillery one day, Mr. E.H. himself owned more than seven distilleries in his lifetime and built many of the buildings on the Buffalo Trace premises. 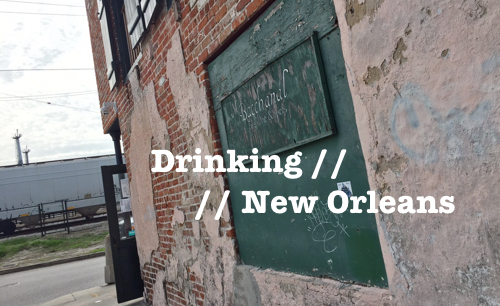 In April of 2006 a tornado made its way through the property, disrupting the tens of thousands of whiskey-full barrels sitting calmly in the ricks of this old warehouse. The barrels, however, stood their ground and survived the storm. In the coming months, the barrels baked in the central Kentucky sun as the roof and walls of “Warehouse C” got repaired. Due to the weather the spirit had a high rate of evaporation (nearly 64% angel’s share) that lead to increased wood interaction in the barrels and a rich concentration of flavor in the spirit. Just shy of 100 barrels, located on the top two floors of the facility, were selected and married into a single batch whiskey. The bourbon selected was between 9 and 12 years old at the time. 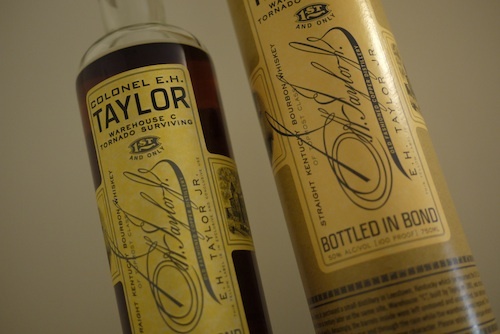 And thus, E.H. Taylor’s “Warehouse C Tornado Surviving Bourbon” was born, bottled at 100 proof, slapped with a happy yellow label and sent out in very limited and sought-after supply. Sitting in the glass, the whiskey tempts with fiery rust and amber tones. 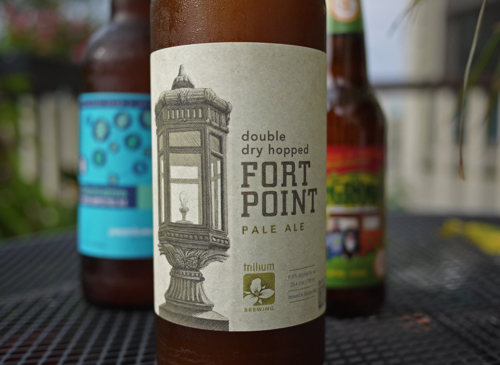 On the nose, spicy rye and earthy wood notes float to the top. Underneath, layers of toffee and chocolate, orange and cinnamon, cloves and baking spice add to the bouquet of smell. 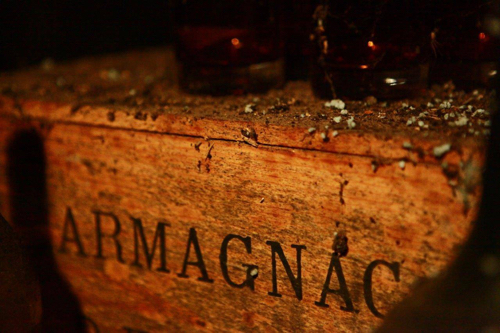 Add a little water and subtle cherry and floral notes emerge. Perhaps even a little tropical breeze comes wafting through to remind you of the road this bourbon has travelled. In the mouth, this tornado-surviving stud of a whiskey is sharp and spicy with a light creaminess that carries a wonderful balance of rich caramel, wood and orange citrus. The finish is long, dry and spicy. I haven’t seen this around Boston yet. Any idea where/when I might find some? I believe it arrived in MA the last week of February. It’s a very limited release so your best bet is to probably call around to better whiskey shops. Chances are some stores may have it but aren’t putting it out on the floor. I found a bottle at Yankee Spirits in Sturbridge. I live in PA, any idea where I can get some? 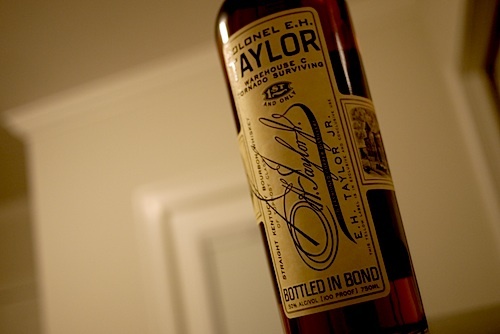 I had a chance to taste this at The Belmont in Charleston, SC… now on the hunt for my own bottle! Good luck, Matthew! They’re hard to come by these days, but you may just get lucky. Every once in a while one will pop up. Just found this string and wanted to let all know that I have an unopened case of the “Tornado Bourbon”. I agree, it’s one of the best! 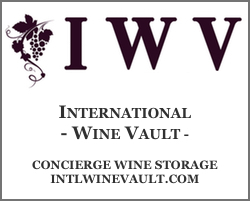 I am willing to part with some of it so please contact me at tenn.swo@gmail.com. just let my peeps know about it Steve! May have you save back one for me!